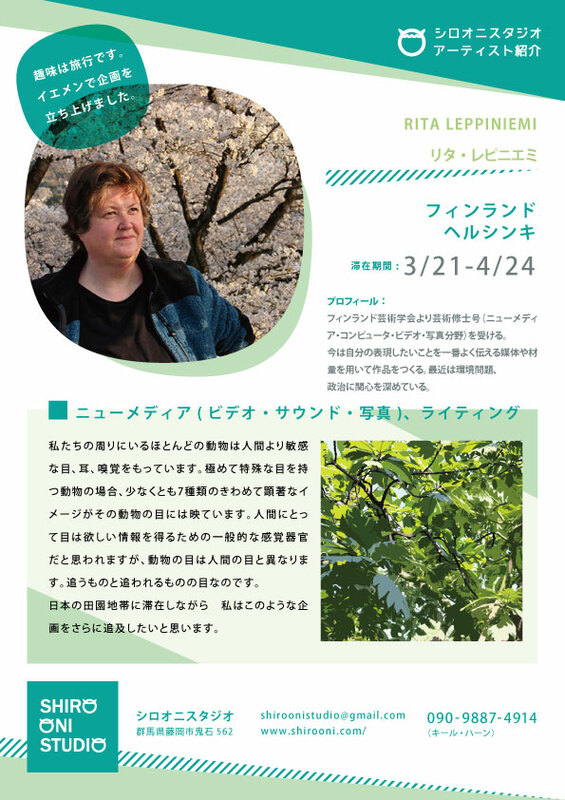 Rita Leppiniemi has a master of fine arts degree (and bachelor of fine art degree) in new media from the Fine Arts Academy in Finland and Norway in computer-, video- and photographic art). Today she prefers to work in whatever material or media that can tell her story (or idea) to others in the best way. In recent years she has become more and more interested in environmental topics and politics.